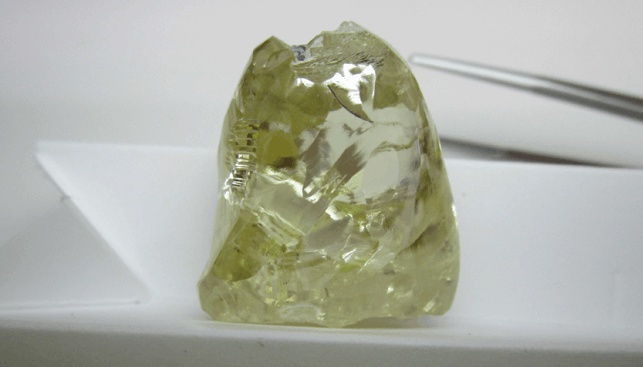 Firestone Diamonds has reported that in the second quarter of the financial year ended December 31, it sold 191,735 carats of rough diamonds from its Liqhobong diamond mine in Lesotho – a drop compared to the previous quarter (194,206 carats). According to IDEX Online, the miner’s revenue totaled $13.9 million, compared to $13.5 million in the previous quarter. Firestone achieved an average value per carat of $72 in Q2 (Q1: $70), which according to the miner is “below expectations mainly due to a deterioration in prices received for the smaller, lower value stones”. Paul Bosma, Firestone’s CEO, commented: “We had a reasonable second quarter, barring a scrubber failure sustained in November, ending the financial half year with all our production parameters on track to meet guidance by year end”. He added that the demand for larger, better quality stones “remains strong”.